When I was a boy, my mother always liked to tell me that money didn’t grow on trees, but if I was a boy today, I would tell her she’s wrong and point to Steve Jobs as the proof. 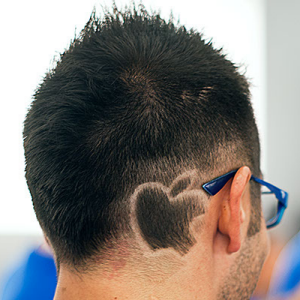 That man knew how to literally grow money simply by sticking a logo of an apple onto a computer and then onto retail storefronts. Apple is today the most valuable public company in the world, worth over $400 billion. That’s a lot of iPhones and iPads. Have you been inside an Apple store? One billion people in the world have. That’s an impressive statistic for any business to boast about. What other company can claim that it is harder for people to work for them than it is to get into Harvard? Do you work in an Apple store? Let us know how the application experience was for you. Did you apply and was rejected? Let us know what you think about the Apple stores in general. Good customer service? Since the iPod surfaced, I've only stepped into an Apple store once: this year. Not a fan and if I had the money to buy a MacBook Pro, I'd still get a beast Windows PC. I really contemplated an iPad but am now very happy with my Android. I know they are doing things 'right' but just don't like them. On another note, the store I visited was filled with employees though.. not hard to imagine, with the profits they bring in per store. you may say anything about how successful Apple is. But I'm definitely NOT one of its buyer. I'll NEVER buy an Apple product. Why not? Do you not like the quality of their products? Is there something about the company you dislike? not only dislike, but I hate them. they steal other's idea, improve it a bit, patented it, and then sue every one who has similar idea even just slightly similar. remember how apple australia sue a fruit store which have similar logo to apple? it's a fruit store, dude, fruit store. apple is madness. personally, I think Bill of MS is much better than Steve of apple (both Steve). at least Bill didn't make a silly extremely closed environment of their product. Apple is an unethical company and I don't support them. All of their lawsuits are just ridiculous and rushing out new products results in neglectful treatment of the Foxconn workers hired to build their products. Their response to workers killing themselves wasn't improving conditions, but making it harder for the workers to commit suicide. They don't have a notable history of doing any charity work ever. Considering that they are an exceptionally wealthy company, you think they'd be investing in ways to give back to the community (or anywhere in the world) in some way like most major companies do. These days people treat Apple like they do with a favorite sports team or something like that. They feel happiness in Apple's success and feel personally offended when someone attacks it. It's quite an odd phenomenon. But don't you think these are the exact same kinds of accusations that were leveled at Bill Gates and Microsoft in the early to mid 1990's when Microsoft was extremely wealthy and before Gates started his charity work? It seems that when a company does extremely well, people feel this inexplicable need to start to vehemently criticize it. Now that Gates is a saint with his philanthropy work, it's time to put Apple in the sniper's cross-hairs instead. I agree that Apple has its faults - every large international company does. But you have to agree that it makes good products and it has guided the technology market in very positive directions. Where would we be technology-wise, if Steve Jobs hadn't invented the iPod or iPhone? In ten years time, what will be the next company to be fiercely criticized? Apple has been around just as long as Microsoft. Now they could be considered arguably more successful. They obviously have found a spot in the market and are doing well. My point about the lack of any charity work wasn't meant to be a major point in anyway. Apple has perhaps guided the industry regarding smart phones and tablets, but they came in at the right place at the right time. Previous versions of smart phones and mp3 player existed. Prototypes of similar devices such as capacity touch tablets existed before but never went out because the technology wasn't quite there yet for it to be mainstream. As conditions got right, Apple created a "Cadillac" version and other companies ended up releasing competing products soon after. It wasn't my point to say they didn't contribute to the way things are today. I would recommend watching the four Everything is a Remix videos over at http://www.everythingisaremix.info if you haven't already. The 4 videos have very valid points. I also didn't intend to have some passionate brand war debate. My thoughts were mainly that their lawsuits are ridiculous. I don't think any specific examples are necessary. Even the FTC has commented that these silly patent wars may be hurting healthy competition that encourages innovation and advancement. On the point regarding their employees, if it is estimated to costs less than $200 to build and it sells for $600-700, couldn't they afford better conditions for their workers? If you are charging prices so high, why not improve conditions for the factory workers? Large companies are always on the radar, so you'd expect they would step up their game from the beginning. In summary, I don't see Apple as an ethical company, so won't buy their products right now. Nothing more, nothing less. People can support whatever they want for whatever reasons they want. Also, thanks to their iOS, running on some 'mainstream' hardware, which seems to work smooth gives them high profits per product! Yeah, nothing so strange about Apple Stores. When they sell their hot stuff at expensive yet 'mainstream' prices, profit is just another thing. OMG!!!! The facts told here is unbelievable, Thanks for these info Mark, I can proudly say I have 3 apple products.